CBI 2.36 | Incredibile, sembrano due piccioncini! 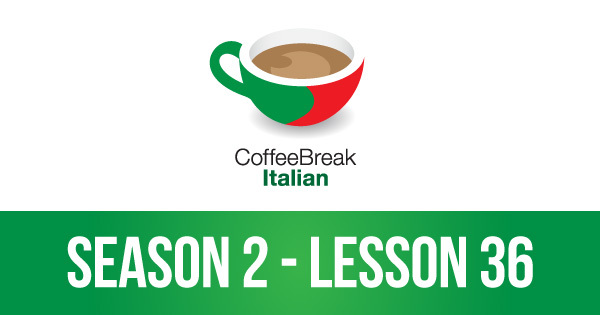 In the latest lesson of Coffee Break Italian we’re listening to episode 6 of our soap opera, La Mia Estate. Riccardo and Maria seem to be getting on well, much to the surprise of Mia, Anna and Giorgio, and Riccardo has some exciting news regarding his search for a house. The episode provides an opportunity to look further into imperatives and there is more practice of the pronouns ci and ne, and how they affect different verbs.